Home Misc. Too Faced Makeup Giveaway! It’s Friday, yay! 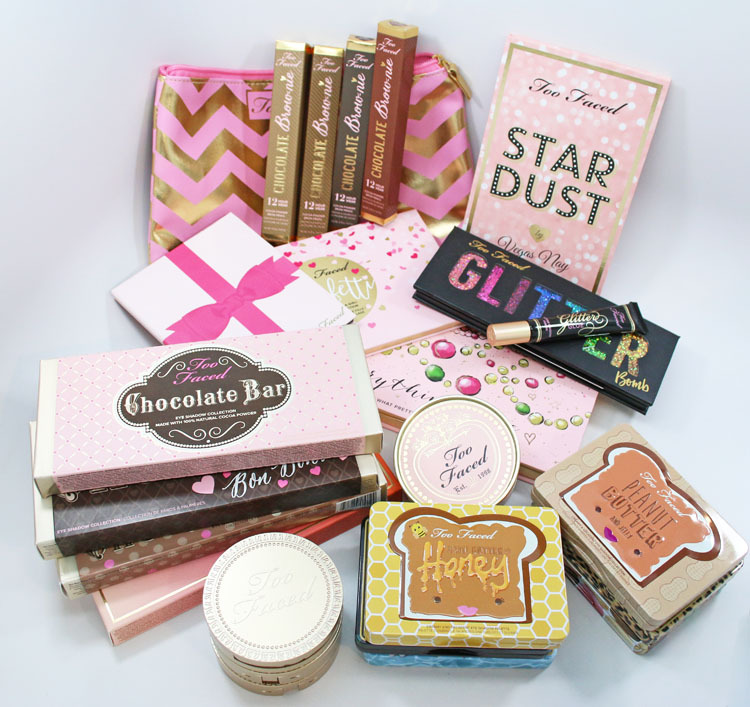 Let’s celebrate the weekend by starting a huge Too Faced makeup giveaway, shall we? I am going to hold this one much the same as the Urban Decay one I did last month. Whoever wins will be required to pay for all shipping to them, regardless of cost. To give an example, the person who won the UD one was in the US, and shipping was less than $19.00, so it could be worth it for all these goodies! This is open to all countries and those over age 18. Let the widget load and have at it! All terms & conditions are listed in the widget as well. Good luck! Nice. Thanks for the chance! Hiya! Great giveaway! but.. the terms and conditions say Open to all Countries yet the form says USA. Which is correct? thanks! femketje´s last post…Look – Soft Flowers. Wow! Thanks for giving things away to subscribers! I consistently laugh at some of the funny things you post on insta. Usually random and unexpected…a.k.a…my type of humor. Thank you for the opportunity to maybe win some great makeup! Love your blog! I really enjoy your blog, I check it daily for updates. Thanks for the opportunity, what a great giveaway! Thanks for the fantastic giveaway, Kelly! Good luck everyone! Awesome Giveaway! I love Too faced! Thanks! Hope I win! OMG. Another giveaway?!? This is awesome! If I win this loot, I’m definitely sharing it with my 2 beauty buddies all the way here in Singapore. Thanks, Kelly. Omg.. I’m literally drooling. I love too faced. This is an amazing giveaway. Too faced is my favorite brand too. Fingers crossed. Thank you! Always wanted the chocolate bar pallette. Excited for the chance to win! Wow! What an awesome giveaway! Love this product line. Thanks! So excited.. thanks for the change of getting this!!! What an amazing collection-thank you SO much for your generosity and for the chance to win all this stuff I’ve dreamt of owning for so long! Thanks for the opportunity. You rock! Tysm for the opportunity to win! Im happy to cover shipping if i win!